More than 10 percent of Missouri House seats are now vacant after a St. Louis lawmaker resigned for a local office. Democratic Rep. Michael Butler was sworn in Wednesday as the St. Louis recorder of deeds. The House released a letter Thursday indicating Butler had resigned Monday night. Butler was one of four lawmakers who resigned at the end of 2018 after being elected to new jobs in local government. Others left early to take positions in Gov. Mike Parson's administration. Still others resigned to try to avoid being affected by a new constitutional amendment lengthening the wait before lawmakers can become lobbyists. The 163-member House now has 17 vacancies. The resignations are the most of any year in records dating to 1994. 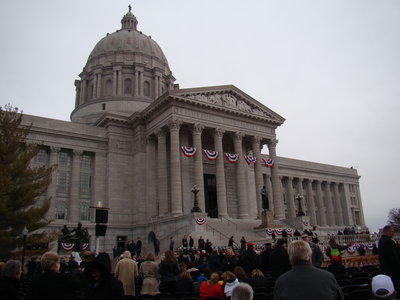 A new legislative session begins Jan. 9.